LAKE FOREST, CA (ANS – October 6, 2017) – Thousands from around the world daily receive our stories and pray for those that we feature, many of whom are suffering terrible persecution and often death. Over the years, our team of dedicated writers have often risked their lives to bring you this material, and now my son, Peter Wooding, has joined with me to produce a short video about ANS which I would urge you to watch. It’s been our great privilege to serve you over this past 25 years in bringing these stories for free, but I just wanted you to know that, although non of our writers, including myself, receive a regular salary, we have costs involved which include our office rent, Internet and phone costs, as well as travel, and so I am asking you to please consider making a donation, either a one-off or a monthly gift, to allow us to continue you with this vital media work. All you have to do is go to www.assistnews.net and scroll down to where it says DONATE TO ASSIST NEWS and make your donation (tax-deductible in the US) there. If you prefer sending a check, just make it out to ASSIST and mail it to PO Box 609, Lake Forest, CA 92609, USA. I thank those of you in the print, radio and TV media for running our stories, and I would really appreciate it if you could also make a gift to allow us to continue. Over the years, we have seen many occasions that people we have written about have been freed from prison and, like you, we have celebrated that great victory for God. But we still have much more work to do, like in the case of Asia Bibi, the Pakistani mother-of-five, who is on death row for standing up for Jesus, and was found guilty of so-called blasphemy, something that both Asia and we at ANS dispute. We must not fail this courageous Christian woman. So please help us carry on with our vital work, and I thank those of you in advance, who have gone to our website, or sent a check, to allow up to continue with our news service. 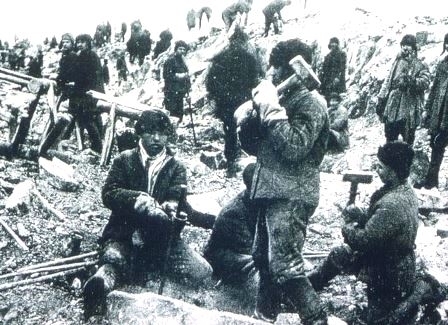 We need you to stand with us as this violent time in world history. 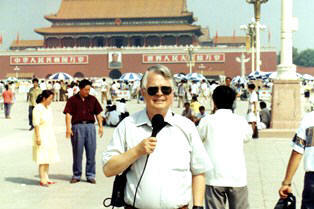 Photo captions: 1) Dan Wooding reporting for ANS from Tiananmen Square in Beijing, China. 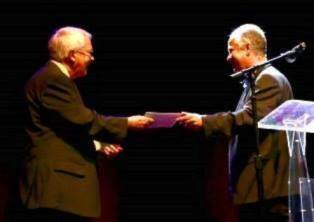 2) Peter Wooding hands his father, Dan Wooding, the humanitarian award in Beverly Hills, California. 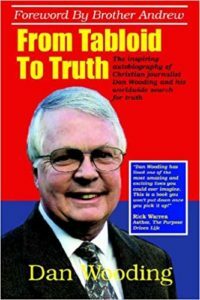 About the writer: Dan Wooding, 76, is an award-winning author, broadcaster and journalist, who was born in Nigeria, West Africa, of British missionary parents, Alfred and Anne Wooding, who then worked with the Sudan Interior Mission, now known as SIM. Dan now lives in Southern California with his wife Norma, to whom he has been married for some 54 years. They have two sons, Andrew and Peter, and six grandchildren who all live in the UK. Dan is the founder/president of the ASSIST News Service (ANS), and is also the author of numerous books. He has a radio show and two television programs, all based in Southern California. Dan has received numerous awards for his journalistic work on behalf of Persecuted Christians, the most recent was in Beverly Hills, California, where at an international film festival, he was presented with a top humanitarian award by his son, Peter Wooding, before some 500 Hollywood luminaries.